Gothic Metal that comes from Japan… Something just doesn`t feel right in that sentence. 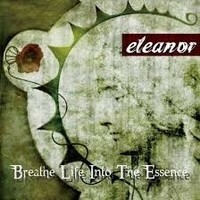 I thought the same too, but the second full-length release of ELEANOR, Gothic Metal from Osaka, made me change my mind. This band is able to transfer feelings above and beyond the language barrier. Don`t be fooled by the track list. Though it seems the songs are in English, they aren`t. But that doesn`t reduce the enjoyment in music. You may want to skip the “Time, Meditation And Dawn” intro (never mind the symbolism that band wanted to gain putting it as the album opener, it would have fitted better as an outro), that is completely unnecessary and dive straight into “A Rain Song” – an interesting mixture of lighter (almost Pop) and heavier sound with strong presence of melancholy that runs through the entire album. After the rain is over “Fatal Movement” begins bringing Folkish medieval scent emphasizing the acoustic guitar until the very end where it turns into more pure Metal. “Mourning” belongs to those “heavier” songs on the album along with “Prayer” and “Sleeping Water”. “Blue Moon” brings the acoustic guitars back on scene, wrapping this song with mystery. “Once” looks like it got lost on this album. Heavy music bringing heavy feelings. Yet another departure from the main sound of the album is the last song on the album – “Fragments”, that bring more energy, but still keep the heavy feeling. Overall, it`s quite solid album, with catchy tunes. Listening to it one gets a feeling that band is still in search for their true sound. There`s a lot potential, and hopefully band will only get better in time.